In the latest move for the mainstream media to embrace sports betting, premium sports content broadcaster Turner Sports has reached a unique agreement with Caesars Entertainment to develop ‘gaming-themed content’ for sports fans around the world. 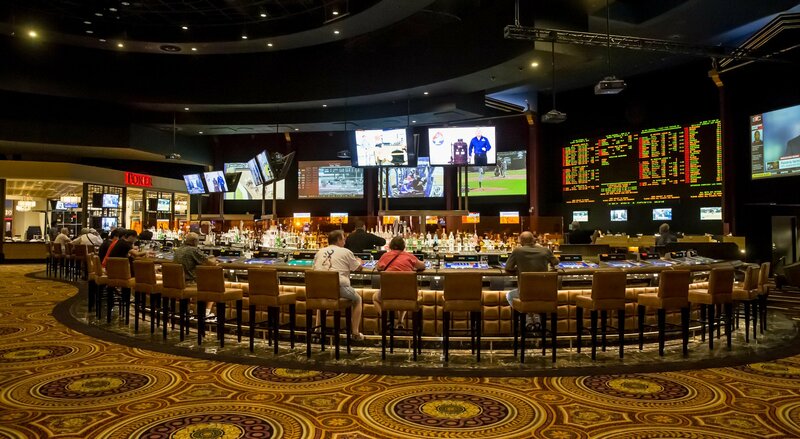 Known for hosting decades of sporting events, Caesars Palace Las Vegas will soon be home to a Bleacher Report-branded studio originating from inside its sportsbook. According to a release from the operator, the new branded B/R studio will be the central hub for the creation of a wide assortment of gaming-themed programming and editorial content to be regularly distributed through Bleacher Report and the B/R App. The B/R studio is currently in development, with additional details to be unveiled in the coming months. Lenny Daniels, President of Turner Sports, commented: “The sports gaming industry is rapidly growing and Turner is poised to be an industry leader in the development of gaming-themed content experiences. 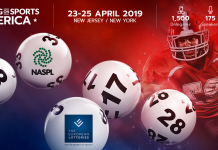 Mark Frissora, President and Chief Executive Officer for Caesars Entertainment, added: “Caesars Entertainment continues to redefine its role as a sports authority in the gaming-hospitality industry. 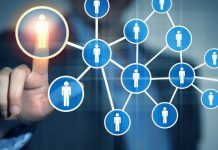 As part of the deal, Caesars will also be prominently featured as a Bleacher Report gaming category partner including integration across a wide array of content offerings and distribution platforms. Caesars will also be a presenting sponsor of select programming airing across Turner’s linear networks, in addition to opportunities for co-produced programing and events. 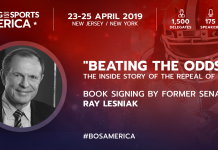 The pull of sports betting to the media will be one of the key discussions at April’s Betting on Sports America conference being held in both New Jersey and New York. 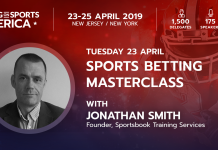 The session entitled: “Where does betting fit into the sports media landscape?” will feature panellists Chris Harrison, Industry Head – Financial Trading and Egaming at Google, John Levy, Chairman and Chief Executive Officer at theScore, Inc and Brian Musburger, CEO at VSiN. For more information click here.